I’ve been doing a lot of sourdough baking lately, but every once in a while, I want to make something simple that doesn’t require expanding my collection of bubbling cultures in the laboratory that I call my kitchen. So, I turned to a wonderful book, Beth Hensperger’s The Bread Bible: 300 Favorite Recipes. It may not be the most comprehensive book out there, and it list amounts by volume alone (in cups, not metric or baker’s percentages), but by gum, just about everything I make out of this book works. 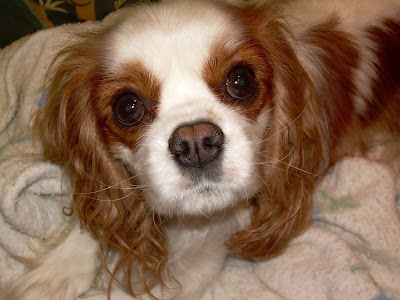 There was some buttermilk in the refrigerator, left over from apple cheddar scones that I made for Tuesdays with Dorie. I wanted to use it up (I had already frozen it once, and did not want to refreeze it), so I decided to make a buttermilk honey loaf (pp. 54-5 in the book). 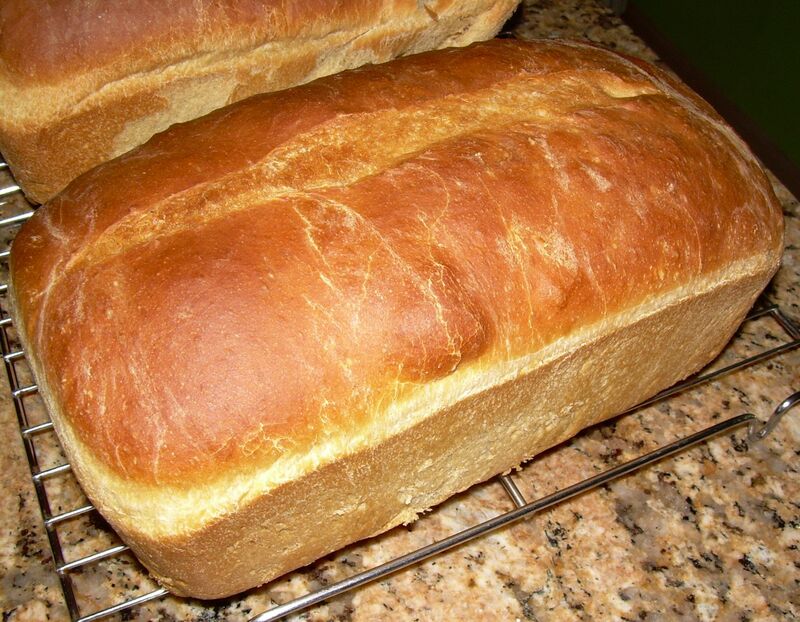 It was easy to make, and turned out to be a great toasting bread. I eliminated the glaze (I go through enough eggs as it is). Spread with a bit of butter or Smart Balance, and a wee bit of homemade marmalade, it’s tangy and sweet, and is comforting with a cup of tea. A couple of baking notes: (1) Grease your baking pans thoroughly – I missed spots in one baking pan, and the loaf stuck; (2) If you want darker loaves than mine, bake the bread in a metal pan (I used Pyrex for these), and (3) the tang of the buttermilk really comes through, so if you don’t like that, you might want to increase the honey a bit. And every Friday, be sure to check out Susan’s weekly roundup of food blogger’s bread baking creations, called YeastSpotting! 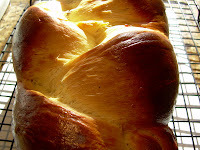 Recipe after the jump . . . .
continue reading "A Tangy Buttermilk Bread"
I had wanted to make challah for years, but did not get around to it until recently, inspired by some of you food bloggers out there! 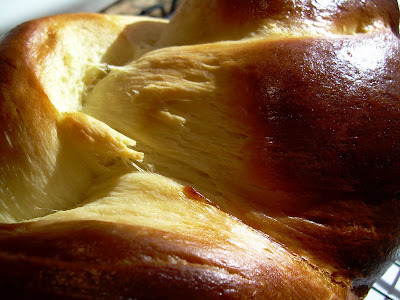 While I am not a big fan of plain challah for eating (then again, I’m not a connoisseur), it is one of the best breads you can use for french toast or bread pudding. As I’ve mentioned before, the Daring Bakers potato bread challenge inspired me to return to bread-baking after a hiatus of many years. What was I waiting for? Why not tackle a bread that has few equals in beauty, and that has such a rich history? So, on a recent lazy afternoon, the kind where you just want to curl up with a good book and take a nap, I wandered into the kitchen with my two sous chefs, and made Sweet Vanilla Challah from Beth Hensperger’s book,The Bread Bible: 300 Favorite Recipes. 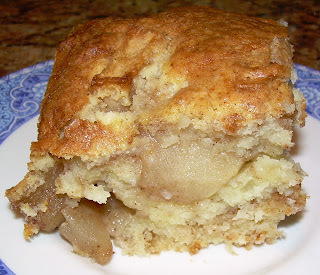 I’m not going to write out the recipe here because I did not adapt it in any way, but you can find a comparable recipe over at Ari’s blog, one of my favorites, Baking and Books. 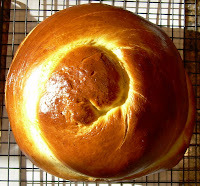 In fact, Ari says that Hensperger’s recipe was a source of inspiration for her Honey-Vanilla Challah. This had to be the easiest, most peaceful bread baking experience I’ve ever had. Everything went smoothly. Shaping the dough was a breeze, and it puffed up – magically- in the oven, resulting in two gorgeous bronzed loaves of bread. We ate one (it tasted like . . . challah! 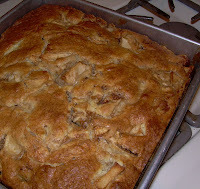 ), and I froze the other one to make Amaretto Bread Pudding in the near future. This was so much fun, I’m diving into challah research, to see what other recipes and shapes I can play with. For me, the whole experience typified what I love best about baking: the peace, the challenge, and the feast for all the senses. 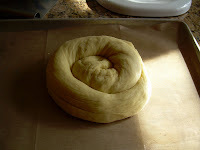 Note: for more on making challah, and braiding instructions, see here and here. Behold, my lopsided cranberry orange bread, another winning recipe from Beth Hensperger, this time from her classic tome,The Bread Bible: 300 Favorite Recipes . I confused the cooling instructions with another one for a different bread, which said to cool the bread on its side. This resulted in my tasty but deformed loaf. This is a wonderful little bread that takes advantage of the cranberries, oranges, and walnuts that are filling our markets this time of year. 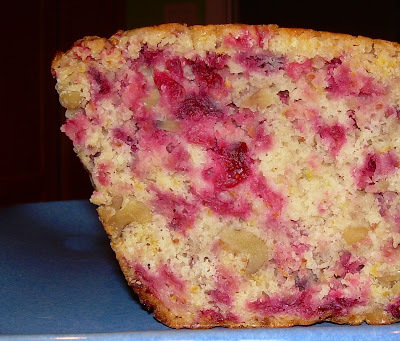 It is not too sweet, and the flavor of the cranberries really comes through, despite the presence of the zest of two whole oranges in the batter. The bread freezes very well, if you wrap it carefully. I wrapped it in plastic wrap, then foil, and then put the whole packet in a freezer-safe plastic storage bag. I was out of ground ginger, so I substituted very finely minced crystallized ginger, which dissolved in the batter. This bread is definitely on my repeat list. And take a look at the batter – isn’t that a beautiful pink color? Position rack in the center of the oven, and preheat oven to 350 F. Grease and flour a 8 1/2 inch-by-4 1/2 inch loaf pan. In a food processor, coarsely chop the cranberries and set aside. 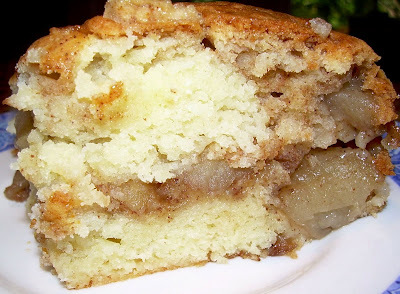 In a separate bowl, combine the flour, baking powder, salt, nutmeg, and ginger, and mix well. Add the orange zest and walnuts, and toss to mix well. In another bowl, combine the orange juice and eggs, and mix until frothy. Add the vanilla and cranberries. Pour over the dry ingredients, and then drizzle with the butter. 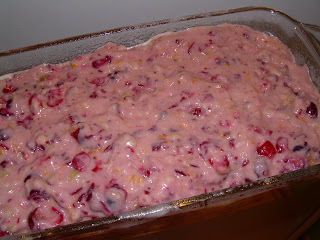 Stir until just moistened (do NOT over mix) and the cranberries are evenly distributed. Pour batter into the loaf pan. Place pan on a rack in the center of the oven. Bake for 45 to 50 minutes. The top should be crusty and golden, and a skewer inserted into the center of the loaf should come out clean. Transfer to rack to cool. Wrap in plastic wrap and let bread sit overnight before serving. Believe it or not, I actually was able to do this last step! 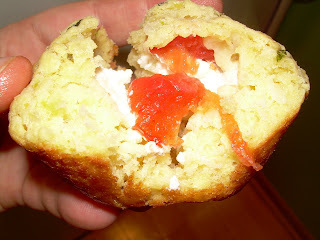 Recently, Ivonne, of Cream Puffs in Venice, had a thoughtful post on the comforts of baking. I have to agree – my life has been so hectic the last few months, I’ve barely had a chance to catch my breath. The weather has cooled a bit, and the leaves are finally changing colors. And I find myself wanting to spend my free time cooking and taking care of my family as much as possible. Last Christmas, we bought some Sam Adams Light beer for dinner guests. Because Master Chow and I do not like beer, five bottles have been sitting in our basement since December. What to do? 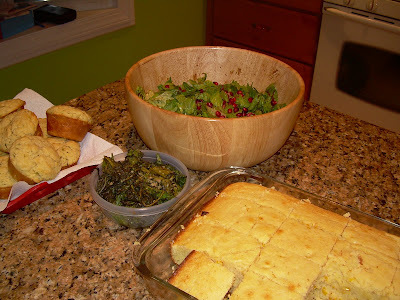 Beth Hensperger and Beer Batter Bread, to the rescue. Master Chow loved this! The taste of the beer that you use really comes through, so pick one that you like. I added 1/4 teaspoon of cayenne to the batter, and even for me (I don’t like a lot of heat in food) that wasn’t quite enough, so you may want to eliminate it, increase it, or substitute other herbs. Dill and caraway might be a nice combination, or rosemary. The bread is best the day it is baked, but I froze some and it was wonderful, toasted with butter, a few days later. Preheat the oven to 375 F, and grease a 9-by-5 inch loaf pan. 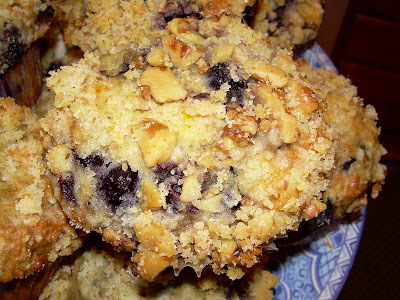 Place a rimmed baking sheet in the oven, on the middle rack, while you prepare the batter. In a large bowl, mix together the dry ingredients. Open the beer and add it all at once – it will foam up, so be sure to use a large bowl. Stir briskly just until ingredients are combined, about 2o strokes. The batter should be slightly lumpy and thick. Pour into loaf pan, and drizzle with the melted butter. Place the loaf pan on the baking sheet in the oven. Bake about 35-40 minutes, or until the top is golden brown and crusty, and a cake tester inserted in the middle comes out clean. Let loaf rest about 5 minutes before turning out onto a cooling rack. Enjoy with plenty of butter, or plain.